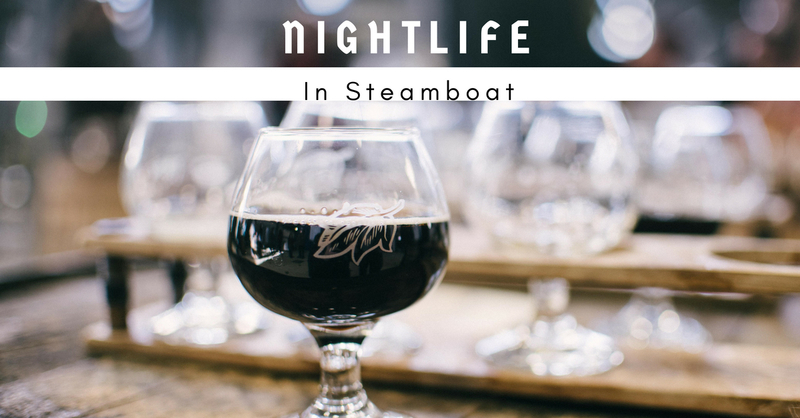 After a long day in the sun or if you are just in need of a cold beverage, Steamboat has you covered. There are many places to grab a brew or a late night snack. Several of these taverns offer live music and a great atmosphere. T Bar at Steamboat is described as a "buzzy mainstay for apres-ski drinks". It is also one of the highest rated locations by its patrons. They offer a classic and international menu that includes chicken wings by the pound, several flatbread choices, salads, and a pork belly BLT. The food is served artfully and comes out quick, even when they are busy. You can dine inside or on one of several picnic tables outside. Another highly rated destination is Dude and Dan's Bar and Grill. Open until the wee hours of the night, they offer up a great time to be had by all. They not only have bar games, but daily specials, and a 3pm-6pm happy hour every day. Dude and Dan's has a pretty basic bar menu with a southern flare presenting wings and mozzarella sticks, but they do however, have a vegetarian option for almost all of their sandwiches. Inside, there are several large TV's to catch any sports game on and a great ambiance throughout. If you're looking for a beer and some barbecue, look no further than Double Z Bar & BarBQ. This small eatery advertises full racks of tender ribs and very large portions for everything they serve. Double Z has delivery as well, so if you are close, this might be the way to go during the busy hours considering the restaurant is on the small side. Last, but certainly not least, is Rex's American Grill & Bar. Located off S. Lincoln Avenue, Rex's has a full bar, large patio, and live music during the summer months. Inside this grill & bar feels a little more upscale than the previously mentioned locations, but still has that welcoming feeling. They have breakfast, lunch, and dinner, so you can stop in anytime. The menu has everything from pancakes and omelets, to salads and brick-oven pizza, to dinnertime salmon & rib eye steaks. You are sure to find something here for the whole family. There are so many different places to grab a beer or a burger in Steamboat, but these are the top rated hangouts in Steamboat proper. So grab a friend and head out to one of these wonderful locations.